1st Gear: How Big Can Jeep Get? So maybe Fiat Chrysler’s sale of Jeep, and Jeep alone, to a Chinese automaker is not going to happen after all. All along it seemed rather farfetched, and according to most analysts and people with eyes, short-sighted considering Jeep’s value in the long term. Jeep is an incredibly valuable brand. Selling it off for cash up front would be a cosmically stupid move on FCA’s part. While automakers around the world covet Jeep for its strong growth and fat profits, Fiat Chrysler Automobiles sees potential for much more, banking on the rugged brand to vie with global giants like Toyota, Volkswagen and Ford. [...] Even if Marchionne has plenty of reasons to see more growth ahead for SUVs, that level of expansion would be unprecedented. Jeep would need at least one model to sell more than 1 million a year. Only the Toyota Corolla, an affordable bread-and-butter compact that’s unlike anything Jeep offers, averaged that much global volume since the start of the decade, according to IHS Markit. Optimistic but plausible. If the SUV boom is really here to stay, why not? What else does FCA have going for it in terms of mass volume? For years Fiat Chrysler sought a merger with another automaker to bring costs down and reduce its own debt. But one answer to that, that same Bloomberg story notes, is to spin off its two Italian luxury brands the same way it did with Ferrari a while back. [...] Spinning off Maserati, Alfa Romeo and parts divisions including Magneti Marelli, Teksid and Comau probably would help toward Fiat Chrysler’s goal to eliminate 4.2 billion euros in debt by the end of next year. The luxury-car operations could be worth as much as 7 billion euros, while the components businesses may fetch up to 5 billion euros, analysts estimate. Does FCA know what it’s doing? Then again—does anyone? But internal disagreements on the direction of the car, and what it should do, ultimately doomed the project. There’s a lot to unpack from this and we’ll have more on it later today, but the life and death of the Apple Car is one of the more interesting business stories we’ve seen this decade. And there’s probably a ton we don’t know. 4th Gear: Can The Hyundai Santa Cruz Sell? We love the idea of a smaller crossover truck from Hyundai, something small enough to be easy to park but practical enough to throw camping gear or a motorcycle in. Every auto writer I know digs the idea. But it’s just not how Americans buy trucks—the recent success of the new Honda Ridgeline notwithstanding—where bigger and badder and more expensive is always king. The things we admire about the Ridgeline and Santa Cruz are not the reasons most people buy pickups. Car reviewers sometimes make the mistake of judging innovative small pickups by the same criteria as the cars we like, not the pickups Americans buy. That’s not to say you should disregard the judgment of critics and auto writers. Well, not my judgment, anyway. What people like me have to understand is that there’s a difference between liking a vehicle and understanding why people will buy it. Or why they won’t. Listen to Anita Burke, chief engineer of GM’s successful Chevrolet Colorado midsize pickup. She’s internalized the voice of the customer to the point that she probably hears it in her sleep. “The customer wanted the versatility of a pickup box, but not to give up comfort and features that are in every other vehicle,” Burke says. Her team responded with a truck that was more capable than the competition, not less. The result: 61,507 Colorado sales this year, second only to the Toyota Tacoma among midsize pickups. Guess we’ll see, but I’m hoping Hyundai can figure it out. Sources said last month the board was preparing to replace finance chief Axel Strotbek, production chief Hubert Waltl, human resources head Thomas Sigi and sales chief Dietmar Voggenreiter. However, they added CEO Rupert Stadler, who has come under fire from the media and unions for his handling of the group’s emissions scandal, would stay as he still has the backing of the Porsche and Piech families that control Volkswagen (VW). “This should happen relatively smoothly,” one of the people said. Neutral: Does FCA Know What It’s Doing? Merger attempts with GM and VW went nowhere. The ambitious five-year plan had to be mostly scrapped. 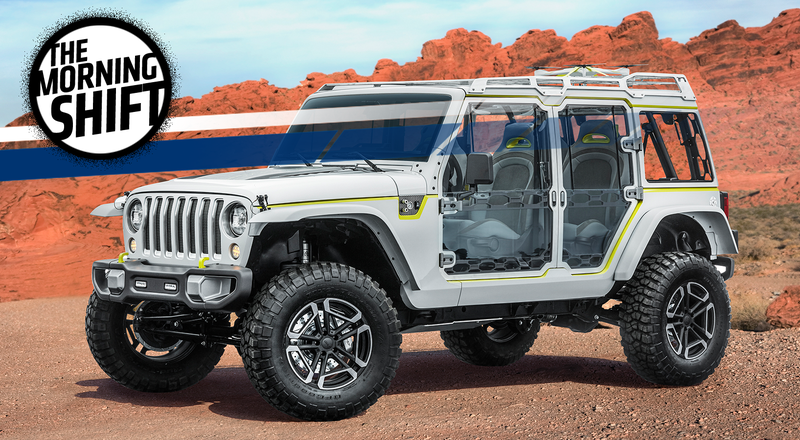 Now we’re talking brand spinoffs and whatever’s happening with Jeep. What’s going on here?